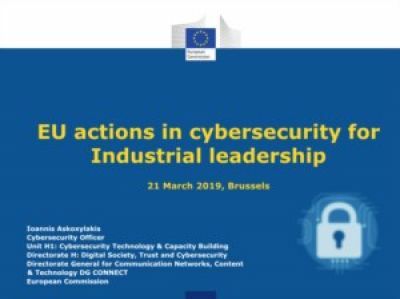 Mrs. Despina Spanou, European Commission (DG CONNECT) Director for Digital Society, Trust and Cybersecurity, will present the latest EU policy actions in the field of cybersecurity and how Europe's cybersecurity businesses, and especially SMEs, can benefit. Participants will also get a good overview of the current and future EU funding opportunities available for Europe's cybersecurity industry; EU invests in research, innovation and development of 'Made in EU' innovative cybersecurity solutions. Wanneer je dit presentatie download ga je ermee akkoord dat je door de leverancier (Computable) benaderd kan worden.